The Black AIDS Institute is the only national HIV/AIDS think tank focused exclusively on Black people. Its mission is to stop the AIDS pandemic in Black communities by engaging and mobilizing institutions and individuals in efforts to confront HIV. The Institute interprets public and private sector HIV policies, conducts trainings, offers technical assistance, disseminates information, and provides advocacy mobilization from a uniquely and unapologetically Black point of view. Wilson’s activism began when he and his partner were diagnosed with HIV in the early 1980s. He became the AIDS Coordinator for the City of Los Angeles and served as Director of Policy and Planning at AIDS Project Los Angeles. 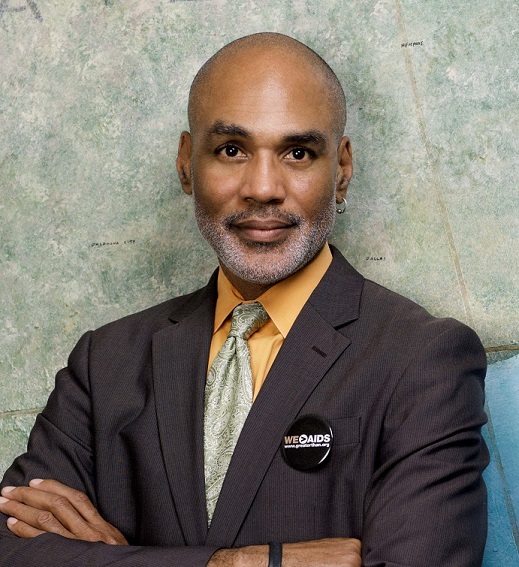 He is the founder or co-founder of numerous organizations, including the National Black Lesbian and Gay Leadership Forum and the National Task Force on HIV Prevention. He has also been involved in national and international research efforts, coordinating the International Community Treatment and Science Workshop at the 12th, 13th, 14th, 15th, and 16th International AIDS Conferences. Wilson has written on HIV/AIDS for the Los Angeles Times, The New York Times, LA Weekly, Essence, Ebony, POZ, Vibe, and Jet. Wilson is the recipient of numerous awards, including BET’s Black History Makers in the Making, a Discovery Health Channel Medical Honors award, the Ford Foundation Leadership for a Changing World award, and induction into the Chicago Gay and Lesbian Hall of Fame. Past Spirit of Justice honorees include author Jennifer Finney Boylan; activist Urvashi Vaid; Margaret J. Marshall, the former Chief Justice of the Massachusetts Supreme Judicial Court; Massachusetts Governor Deval Patrick and his family; Reverend Irene Monroe; Bishop Gene Robinson; Beth Robinson; GLAD Founder John Ward; Terrence McNally; Mandy Carter; Reverend William Sinkford; Tim Gill; Del Martin and Phyllis Lyon; Tony Kushner; Laurence Tribe; and GLAD Civil Rights Project Director Mary Bonauto. Phill Wilson will accept the award at the 17th Annual Spirit of Justice Award Dinner at the Boston Marriott Copley Place on Friday, October 28, 2016. Details about the event are available at www.glad.org/events. The Spirit of Justice Dinner is co-chaired by Darian Butcher and Fred Csibi.